Interference in the nervous system causes stress and decreased function, and can be devastating to children and adults alike. Chiropractic care is the science of removing interference from your nervous system, allowing your health to flourish. While many chiropractors aren’t comfortable adjusting kids, or don’t know the importance of getting every child checked, we absolutely love the kids who come into our office. 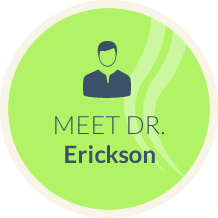 Dr. Erickson is a current member of the International Chiropractic Pediatric Association (ICPA), he has completed the prestigious Epic Pediatrics training program (an extensive pediatric neurodevelopmental case management training program), and now has many years of experience caring for children. The type of adjustment given to our pediatric practice members depends on their age. Low-force and no-force techniques keep care gentle for your little ones. 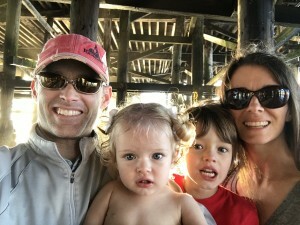 Our young kids are quick to jump on the table, feeling excited to get adjusted. We’ll walk both parent and child through the adjustment, making sure everyone is comfortable before getting started. The extensive examination and evaluation procedure allows us to know exactly how best to help them.